» Gi Review: Alma – Live and Direct from Japan! 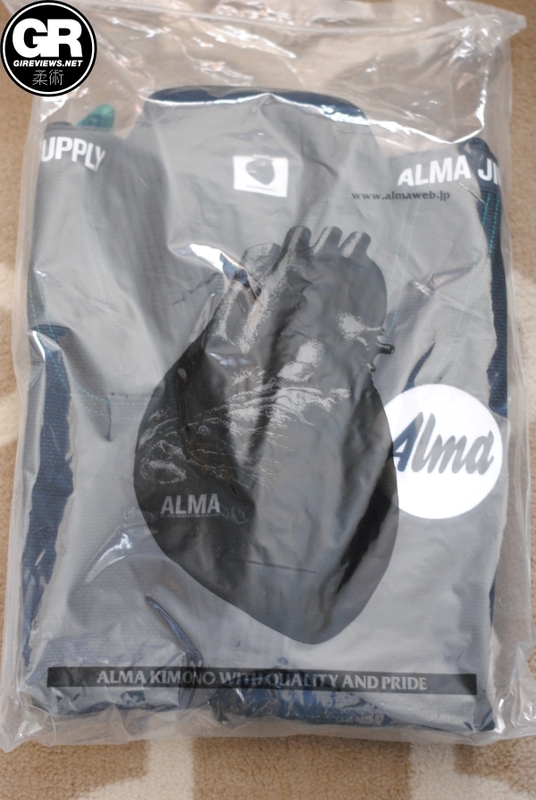 Gi Review: Alma – Live and Direct from Japan! Wow. Just wow. The craftsmanship and quality of my Alma kimonos, shipped directly from Japan, was truly incredible right out of the bag. The gis held up beautifully over time and I’m still impressed by the degree to which they’ve been made. I think that there is something to the high expectations set by other Japan-made gis and the Alma gis are no exception. There’s been a lot of buzz about gis made in Japan recently, especially the one made by Scramble, given that they’re supposed to be much higher quality than gis made in the USA, Pakistan, or China. Don’t get me wrong, some of the gis made in Pakistan and China are still VERY high quality and most top gis companies still make their gis there, including Ok! Kimonos (my brand), Scramble, and others. The fit of my Alma gis were definitely much different than you’d find in a pattern sourced from China or Pakistan. I noticed right away that it covered my midsection much more thoroughly and the cut was much more ‘even’ across the lapels than other gis that I’ve tried. It fit flush across the bottom of the skirt which, having worn over 60 different gis and brands at this point, something that I can tell right away is a sign of a great pattern and quality craftsmanship. I absolutely love the design on this gi and I have no idea why. I think this is a serious testament to the fact that I either have no taste, or that I know so little about design that I can’t even describe what I like! I enjoyed the simplicity of the designs, the loud bold patches, and just how minimalist the gi seemed while how over-the-top the branding is. I really liked the collar on the jacket. It is thin, but very firm. Additionally, the stitching was really straight on the entire jacket and I was hard pressed to find any sloppy stitching or loose threads. There were a lot of different kinds of patches and materials used on the jacket and I was keen to see how they all held up over time, but they all ended up only becoming slightly worn compared to other gis that have shown wear and tear much faster. The trousers were very traditional in their materials. They featured no ripstop cotton or stretchy rope drawstrings, but the cords came tied beautifully into knots and very careful attention seems to have been placed on each step of the construction and packing process. The trousers were also very lightweight and roomy (for a larger fellow such as myself) and I had no issues with an overly restricting gusset (as I do on some gi models where the crotch is cut too low to allow full mobility of my legs). I was actually nervous to try these gis out. Despite seeing no reason on my end to question their durability, I was advised by multiple people who had lived and trained in Japan that Alma gis were known to rip. Thankfully, I saw no such issues while training in my Alma gis. Above, you’ll see me doing the worst De la Riva guard ever on one of our white belts (LIKE A BOSS, I MIGHT ADD!!). The fit around my midsection and well-crafted pants held up beautifully and I really really enjoyed training in my Alma gis. If I wasn’t so determined to sell all of my gis for charity, these gis would definitely be staying in the ‘keeper’ pile. I enjoyed wearing them tremendously because not only am I a big fan of the aesthetic of the gis, but I also really like the fit and the collar on the jacket. 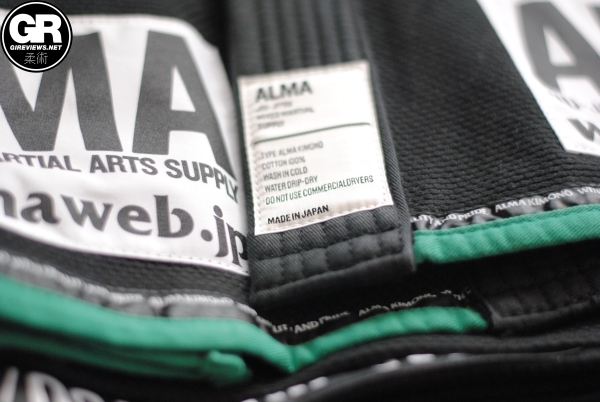 It’s rare that a gi will fit my body type very well and what may work for me, may not for you, but I think that the Alma gis are truly representative of what we can expect from a gi made in Japan. I’m sincerely looking forward to their expansion over to the USA and what they’ll offer in the future. hey-how did you order these? 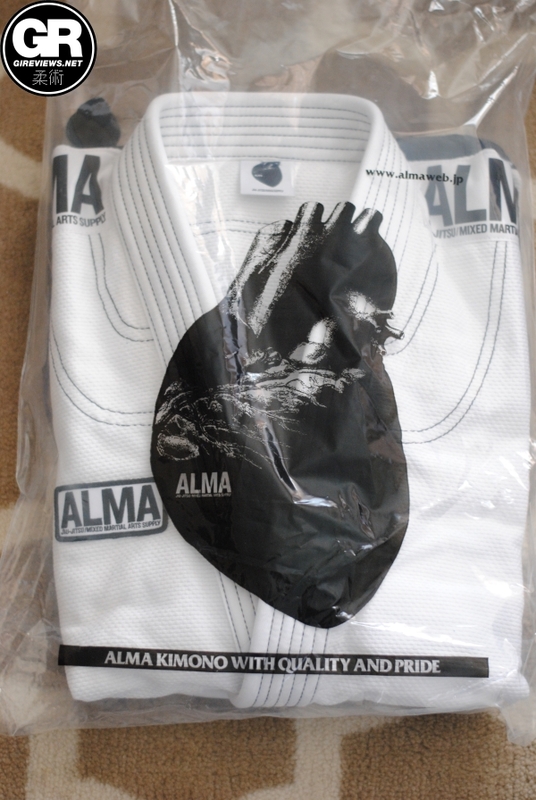 was the sizing normal us type gi sizing? i went to their site but was unsure of how to order. are there import fees to the usa? How was the sizing in relation to US sizing or to other brands? Im normally an A1 but looking at Alma’s chart, I think I might have to go with A2. yeah, it’s definitely a different cut than what I’m used too. Much more narrow in the midsection. You might do better with the A2!